Jephsons has built its reputation on delivering on time, to budget and at the very highest quality levels. That’s why we have been named the Best Contractor of the Year three times by KFC – for 2003, 2008 and 2018. 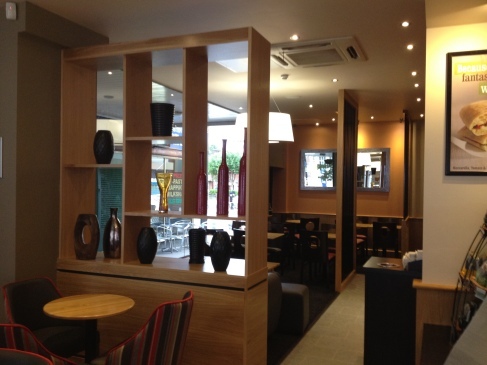 The interior fit-out projects we manage on behalf of clients can range from bespoke fit outs for a local café to the management and completion of £300,000.00+ shell to opening drive-thru restaurants. We specialise in food retail, hospitality and dining interior fit-outs which is why we can name KFC, Burger King, Pizza Hut, Costa Coffee, and Taco Bell among others as our clients. We also work with contractors providing bespoke services where quality counts, like our recent work for the Apres Bar brand, where we manufactured and installed a new bar and dining area. Whatever your interior fit-out requirements, Jephsons can provide them for you; take a look at some of our work and then call us today to find out more.